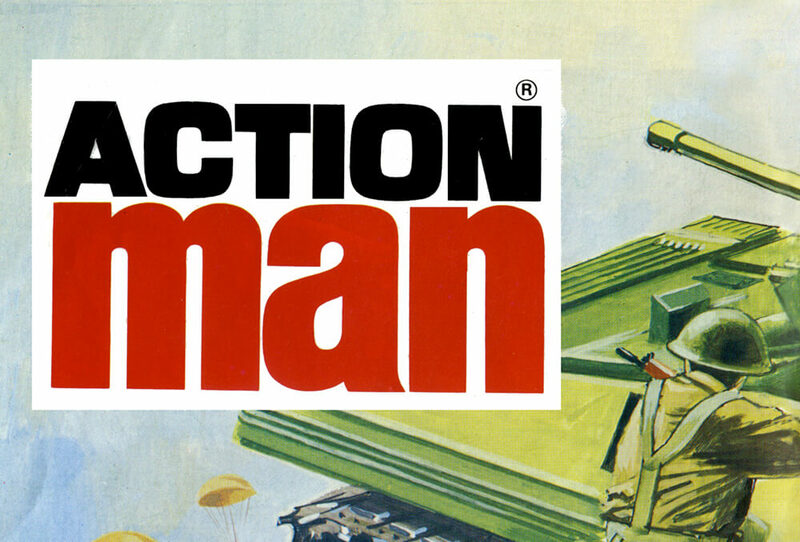 The Action Man Panzer Captain was launched in 1981 and was a very attractive set, ideal for the German Armoured Car. 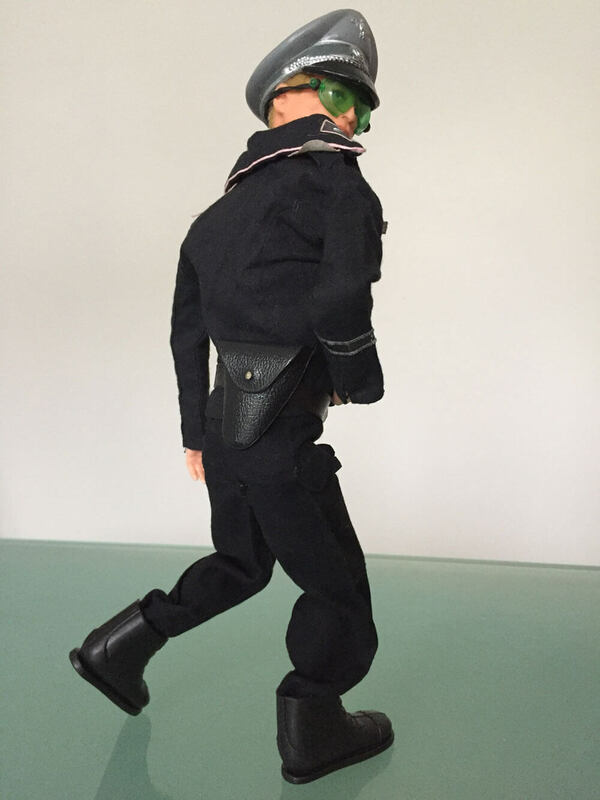 Alan Dawson, a notable Action Man expert and uniform expert told me some interesting facts about the Panzer Captain: The practical uniforms were black so as not to show the dirt and oil of a battle tank interior. 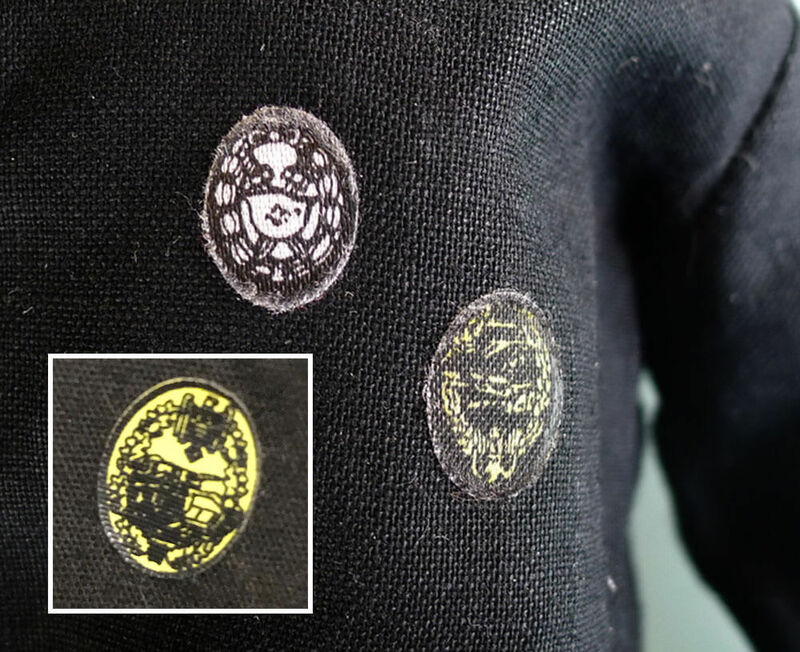 The skull insignia on the lapels - rather than seeming to be associated to the Nazi party and the infamous 'SS", actually pre-date and are in fact a traditional mark of the cavalry (as per British 17 / 21st Lancers). 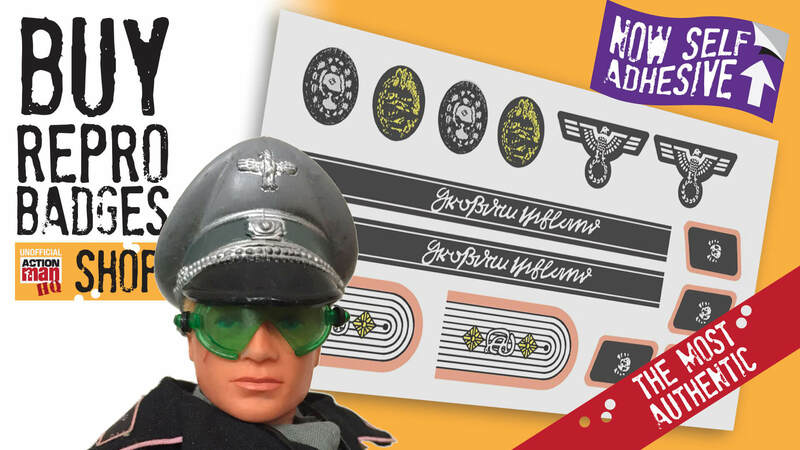 The Action Man Panzer Captain shoulder-boards have the Grossdeutschland cipher mistakenly printed back to front in a mix up between design office and manufacture. 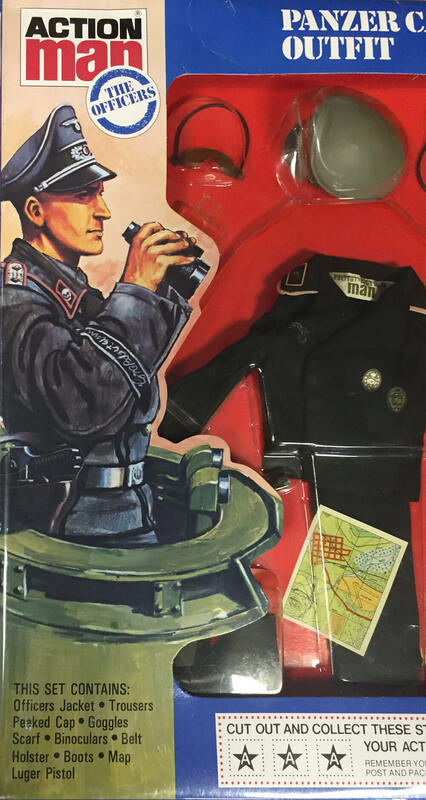 ACTION MAN PANZER CAPTAIN: jacket, trousers, belt, holster, Luger, grey scarf, cap, goggles, binoculars, short boots, map, Equipment Manual. 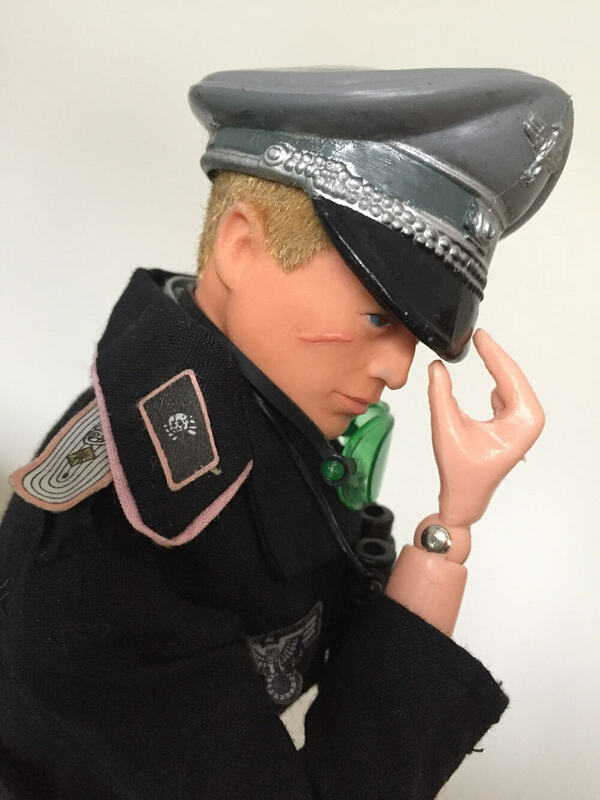 The Action Man German Panzer Captain uniform has lightly glued on fine fabric printed insignia that are often missing (buy replacements here). 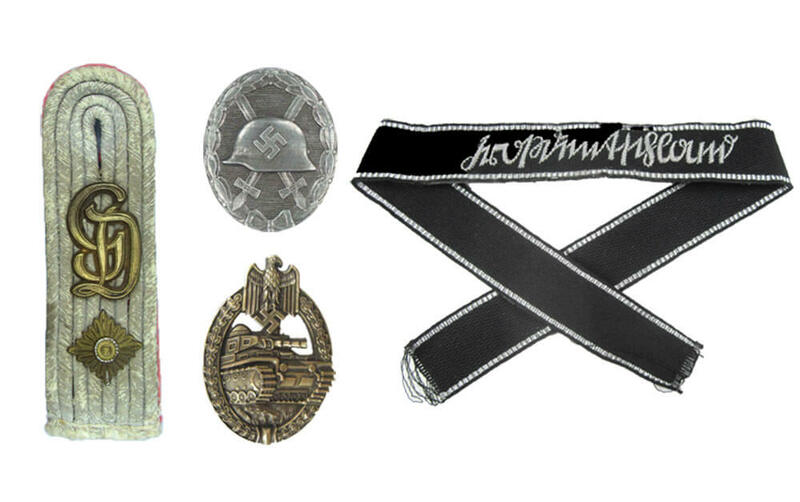 The Wehrmacht Tank Battle Badge (gold) and Wound badge (silver) ovals are often found upside down from new, but if applying replacement ones it would be a good opportunity to correct this. 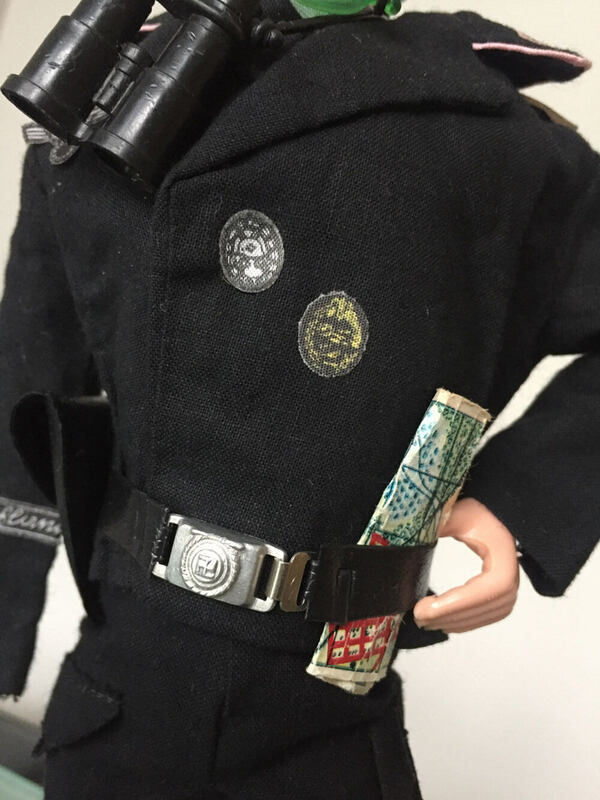 The shoulder boards are either sewn into the sleeve on some versions or stuck on after manufacture atop the actual material narrow shoulder board hiding underneath. 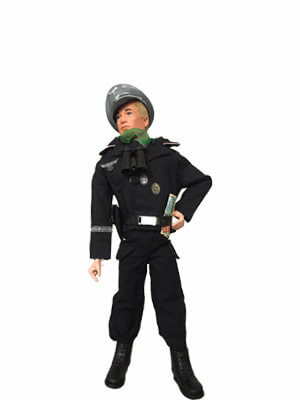 The uniform itself is a very light material and the trousers have a pocket either side. The open countryside paper map was included, but not the cylindrical map tube as with the German Staff Officer before. The Panzer Captain's boots are the short variety - not the German jackboots. 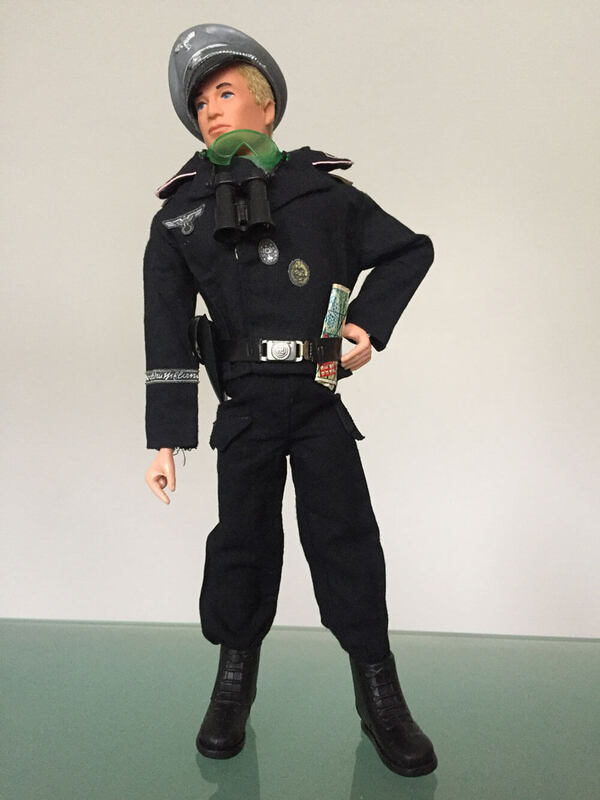 The cap is same molding to the German Staff Officer only using a grey plastic and grey and silver paintwork. A grey scarf was included to be worn under the tunic. The goggles should have a plastic strap, as should the binoculars. 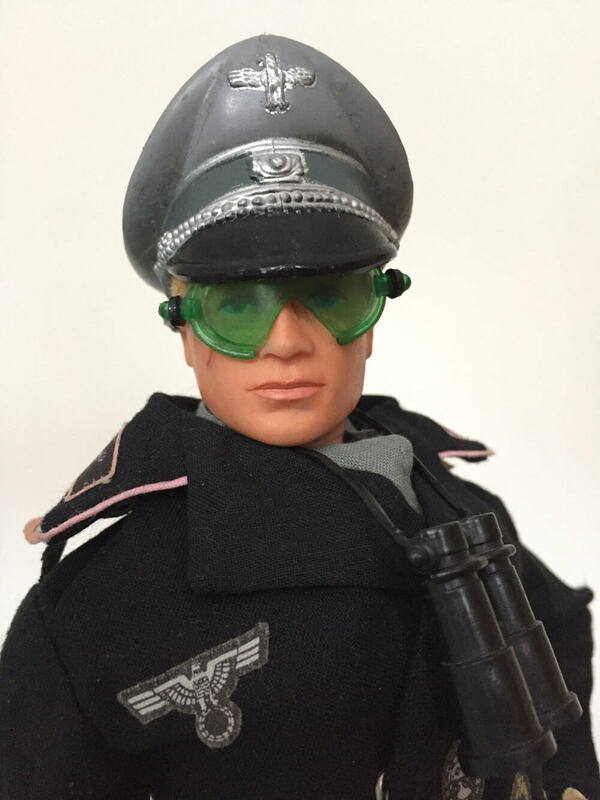 The 'current Action Man figure at the time of launch in 1981 was an Eagle Eye dynamic body, not a 'fixed eye' or 'hard hands' figure as shown in the images. Some actual WWII Panzer insignia of the type of which the set was based on. 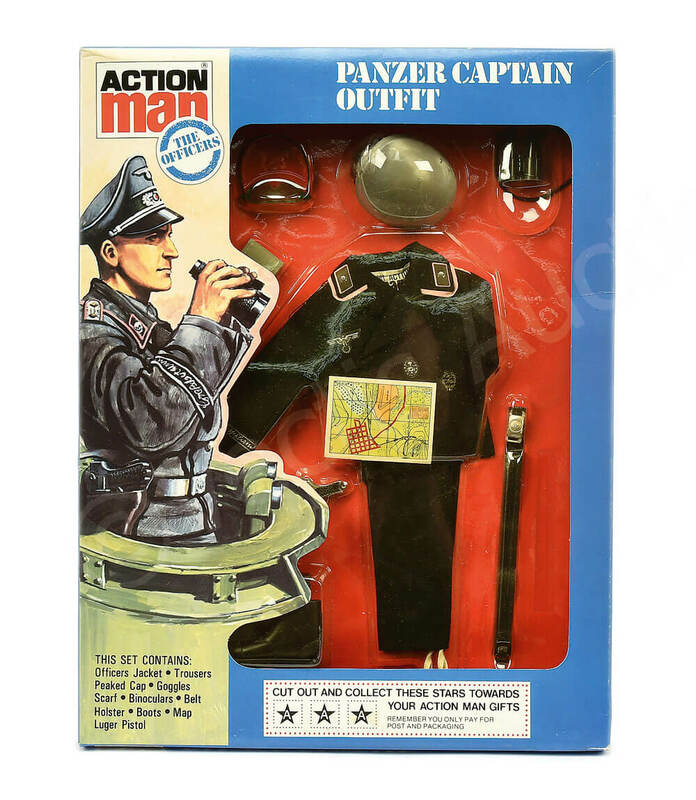 Replacement Action Man Panzer Captain fabric badges.